Dana is a world leader in highly engineered solutions for improving the efficiency, performance, and sustainability of powered vehicles and machinery. Dana supports the passenger vehicle, commercial truck, and off-highway markets, as well as industrial and stationary equipment applications. 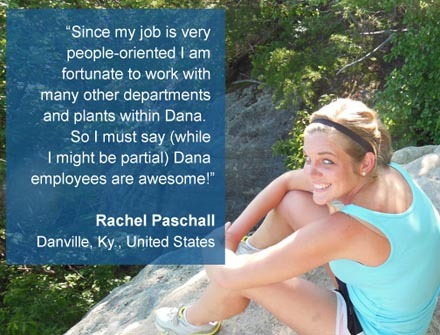 Founded in 1904, Dana employs nearly 29,000 people in 33 countries on six continents who are committed to delivering long-term value to customers. The company reported sales of more than $5.8 billion in 2016. Based in Maumee, Ohio, the company's operations were selected as a 2017 Top Workplace in Northwest Ohio and Southeast Michigan by The (Toledo) Blade.